I guess you're near Clydebank? I'm in Knightswood! We've just got a unit in Dumbarton too. 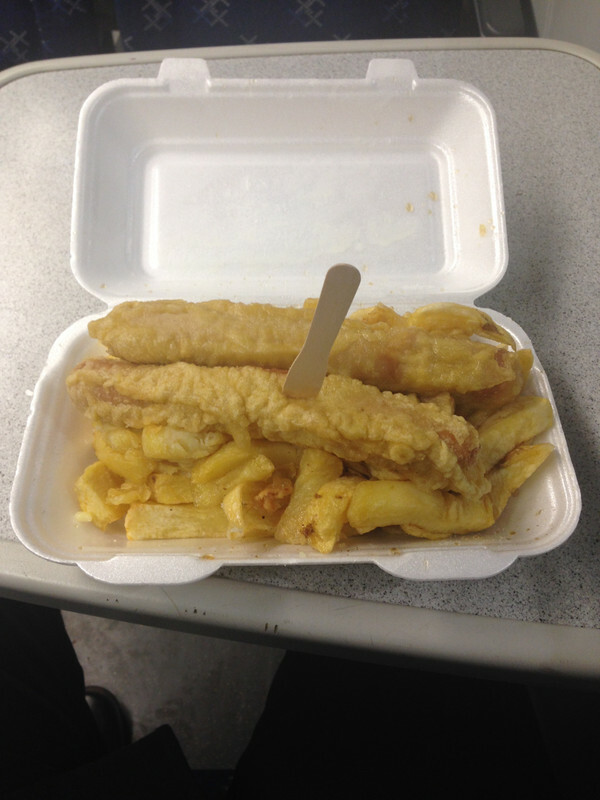 Scottish fish suppers are superb. We often stay near Anstruther and a walk up the pier after a few beers is a must. One chippy there has won awards and rightly so. First night there we said we'd be strong and just share some chips. The one in Anstruther is a nailer! My best mates crazy ex was from there so we'd regularly visit. No, other side of the river, Renfrewshire. The Blue Lagoons in town aren't a patch on Pauls in Houston. Doesn't look like the usual war zone that you're passing through! Looks delicious. Out here in the Algarve the fish and chips equivalent is chicken piri-piri., barbecued chicken with a spicy sauce accompanied by chips and sometimes salad. Please keep this thread on topic and use your own pictures. @adam-, you ruined those pics with the Tennents. Yuk! Innis and Gunn Lager beer is far better! @duncan-uk, now that's my kind of pint! A Glaswegian that doesn't like Tennents?! Pft. St Mungo's is unreal. Birds and the Bees is also very very tasty! I have taste buds that work! Making PAELLA on the BBQ!